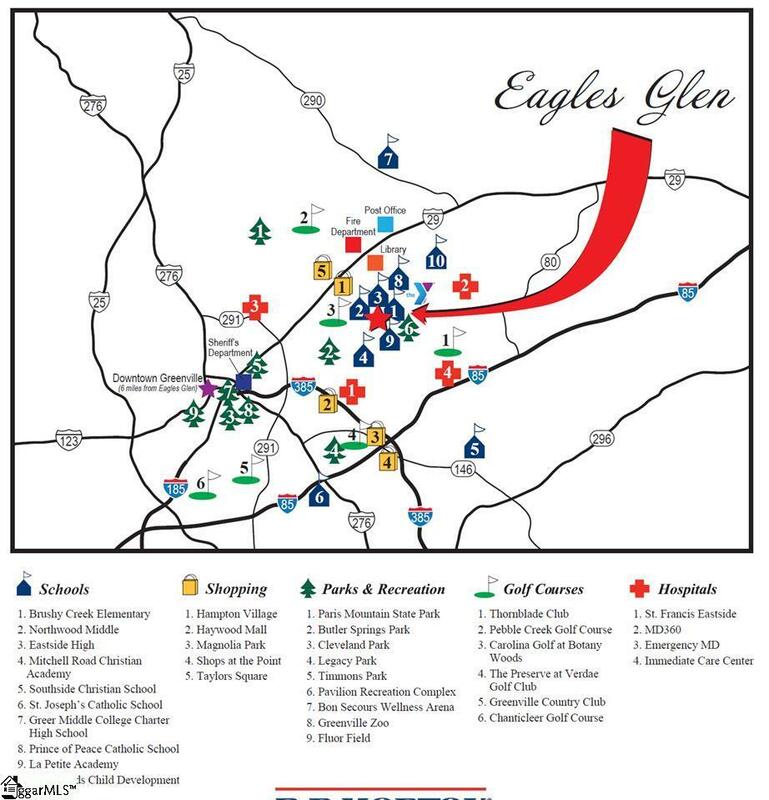 Welcome to Eagles Glen. 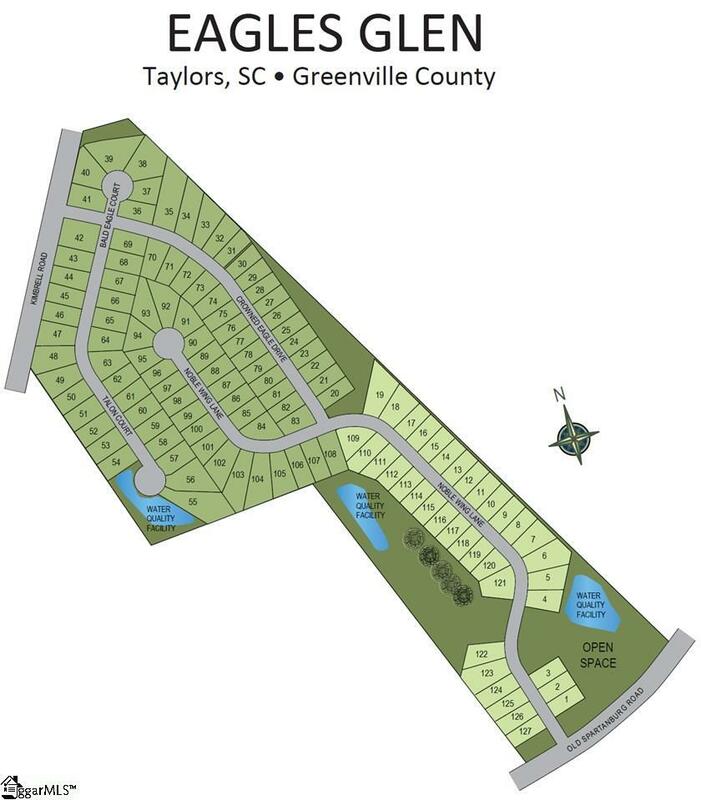 Centrally located in the heart of Greenville with everything you want and need just right around the corner! 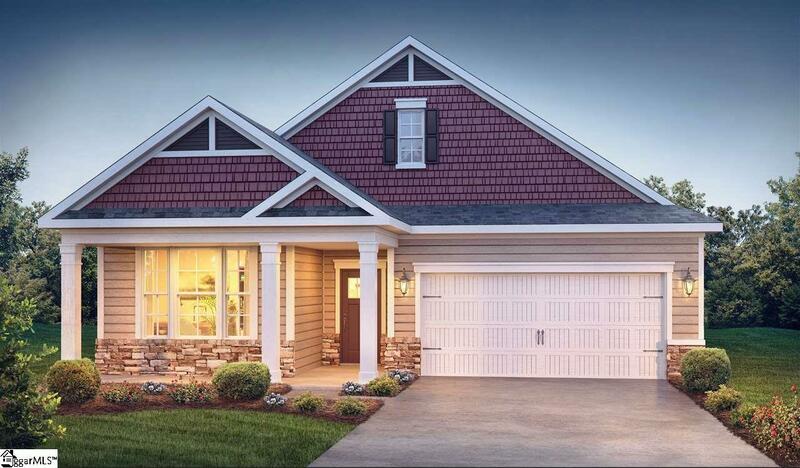 The Clifton offers easy living with all rooms on 1 level. This is a great 3 bedrooms, 2 full baths ranch, open floor plan! The Family room is spacious with easy access to the oversized covered back porch, the beautiful kitchen and the owner's suite. The chef's kitchen features an expansive island with granite countertops, stainless steel appliances that include a gas range, microwave and a dishwasher. The owner's suite is located at the rear of the home for privacy and has 2 walk in closets. The owner's bath has an oversized tile shower, double vanities with granite countertops and ceramic tile floors. 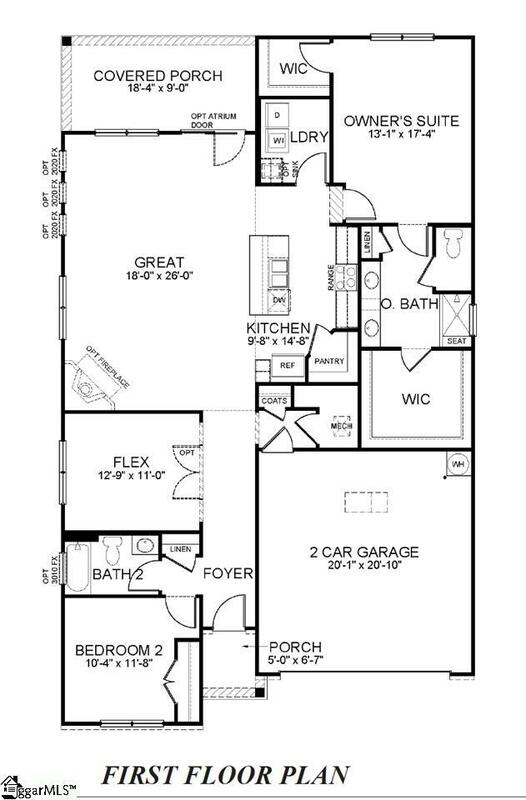 Two additional bedrooms are located in the front of the home and share a hall bathroom.